Yosemite Clinic’s orthodontics department invites you to come listen! Summer is here! Children are on break from school, but free time should not be wasted time. There is a golden opportunity to fix and protect your teeth waiting for you on July 1st Saturday 2PM next week. Take advantage of your holiday, and together we can work to protect your pearly whites. Yosemite clinic’s orthodontics department welcomes the whole family to a lively and insightful informational session on oral health! Don’t worry if junior has had a few cavities, our experienced team of professional orthodontic physicians will give mom and dad plenty of useful information on how to protect and preserve your smile. Dad, mom, and junior should all consider this question. What would you like to know about orthodontics? Yosemite clinic’s veteran dentist and orthodontist Dr. Wu Wei will teach you about the common maladies and dental deformities that afflict a child’s growth and development. In this informational session, she will discuss factors of jaw development, the best time to correct teeth, solutions to common dental problems, how to choose the right treatment, and finally she will introduce children’s MRC, the natural way to correct teeth. As children grow up, do their teeth get better or worse? As a parent, during this key development period when there is still a lot of flexibility for change, what can I do now to maximize oral hygiene and health? 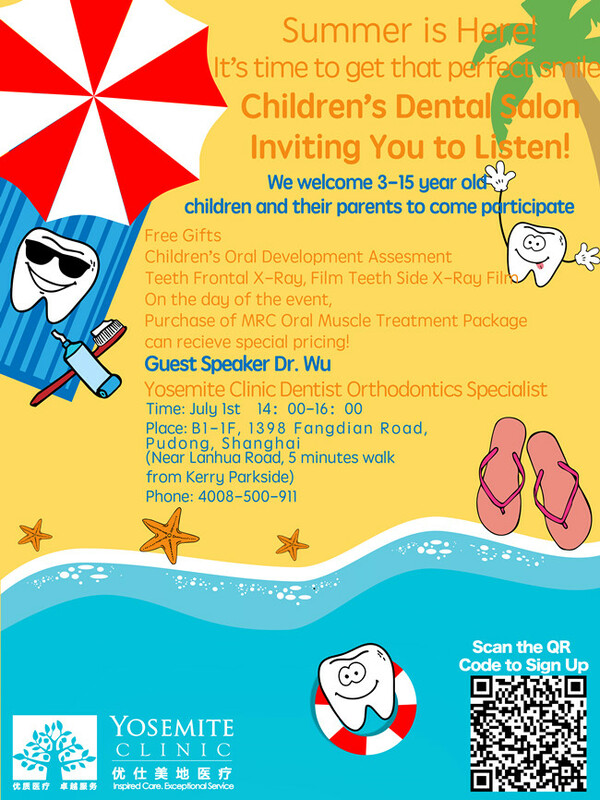 At this session, parents will have ample opportunity to discuss with Dr. Wu on a one-on-one basis on a variety of children’s orthodontic health issues. 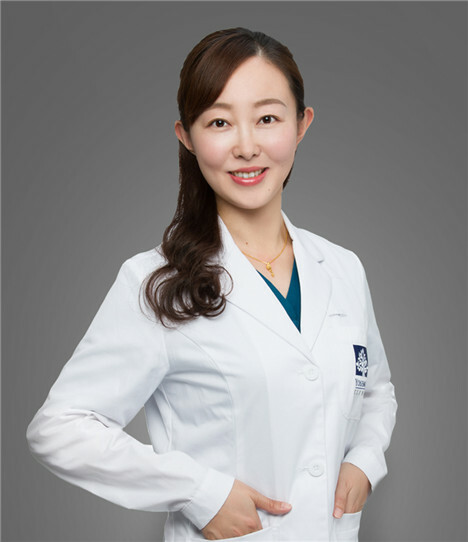 Dr. Wu Wei graduated from Shanghai Jiaotong University School of Medicine with a master's degree in clinical dental medicine and then achieved higher qualifications in dental restoration and orthodontics at Shanghai Ninth People's hospital. On July 1st, for families who participate in the session, Yosemite Clinic will be offering a professional assessment of children’s oral development and an oral panorama on film. Free of charge! In a special one time offer for event participants, Yosemite Clinic will be offering a special package for MRC treatment. Valuable knowledge about oral hygiene and health AND a professional orthodontic checkup. Why hesitate? Sign up now! 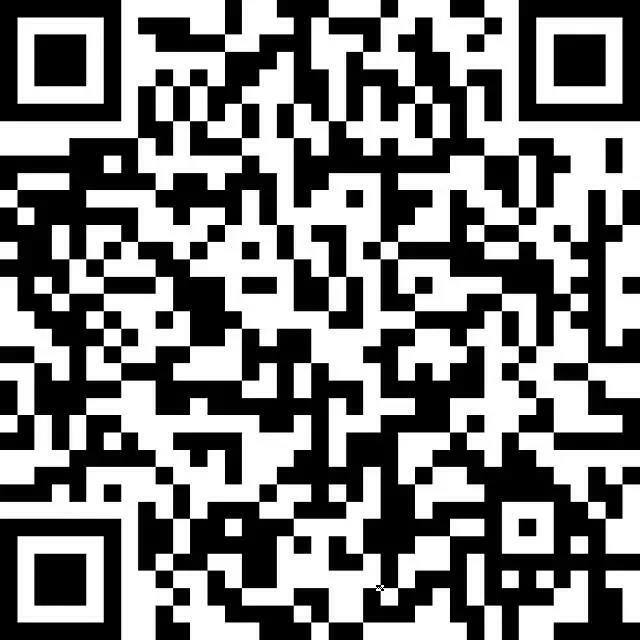 Scan the QR code to apply now!